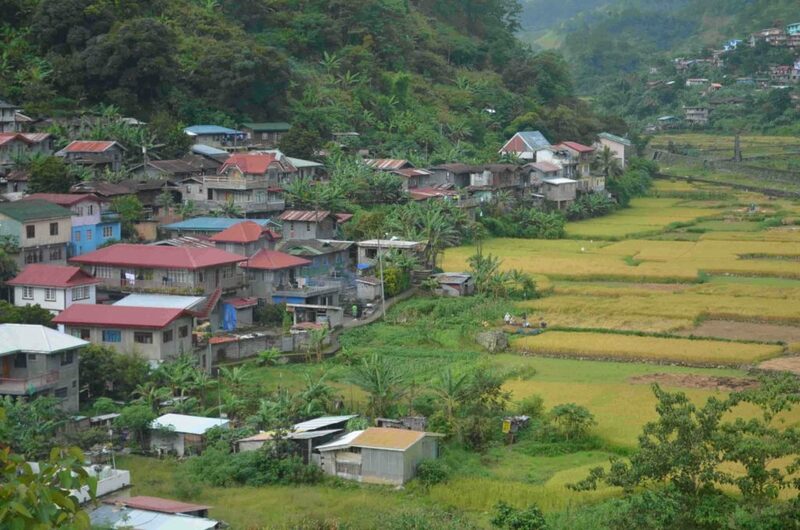 As I pedal through the northern Mountain Province of the Philippines, every village of corrugated metal shacks brings out a new batch of locals to see the biker. Some of the children are speechless—mouths gaping— as if it’s the first mountain biker they’ve ever seen. Some men gawk, until I break it with a smile. They smile back. Some of the women look like they want to hug me. One woman puts her hand to her heart: “brave,” she says. Initially I was supposed to ride seven days on a tour for $2500. But when Mark, my neighbour in San Juan, offered to help me do it cheaper, I jumped. We pieced together a tour, starting with finding a bike: someone in town wanted $2000 pesos a day ($40). “Too much,” Mark said. Instead, I bought a shiny red bike for $250; it was a clunky piece of crap. 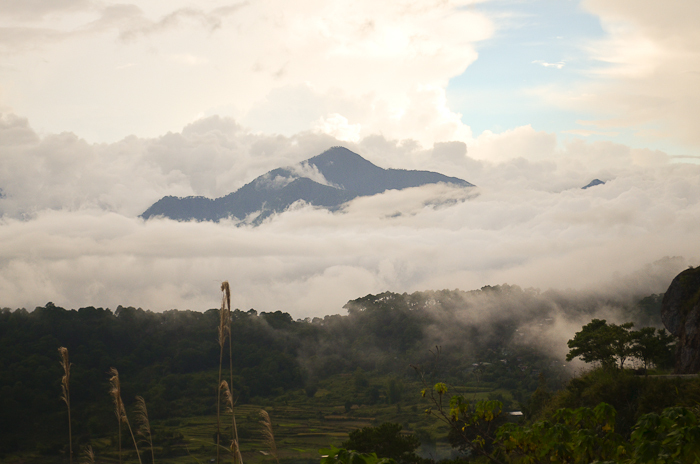 Next, we hired a rental car, and driver—a friend of Mark’s friend—and began the trip from his aunt’s house in Sabangan. It was typhoon season and the car cut switchbacks hard for three hours through the slanted rain. I felt like vomiting. We pulled over at the 14-metre statue of the Virgin Mary – the start of Mountain Province. Mark asked me if I wanted a balut. Did he really believe that swallowing a duck embryo would help? The next morning, waking to screaming kids and roosters, we set off after a plate of rice with chunks of boiled pork, sans coffee. 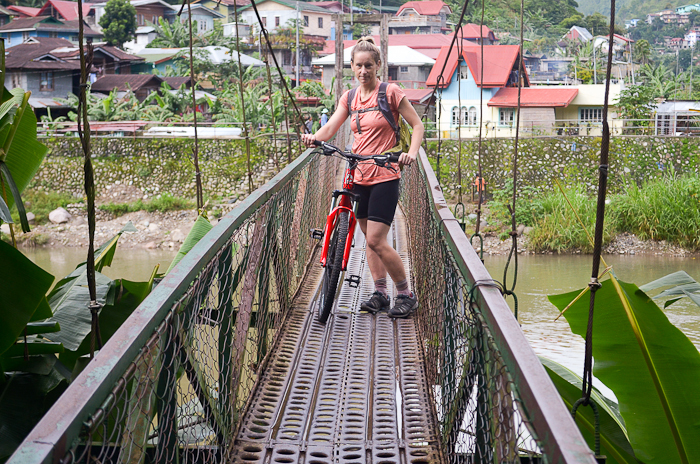 Carrying the bikes across the suspension bridge, and up to the road, the first flat stretch follows the Chico River to Bontoc—famous for tribes that headhunted when they got bored. After a 17-kilometre climb to Sagada, drops of water stream off my nose like I just stepped out of the shower; I’ve never sweat this much in my life, ever. Turning around, I can’t see Mark. He’s 23! I’m almost double his age. I derive much pleasure from this. I wait for him at the top. 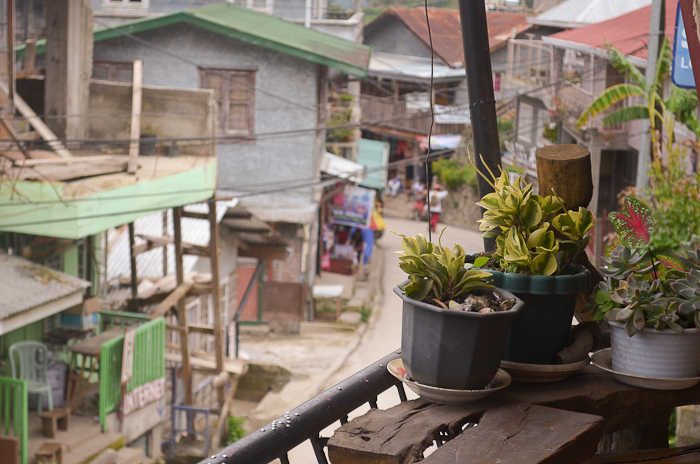 Coming into Sagada, the funky guest houses reveal the town’s hippie vibe. Supper at the Yogurt House, the curried-tofu-and-veggies fare is a Portlandia douchebag’s dream. Next day we walk into Echo Valley. Past the church, on a singletrack path, two random kids guide us into a cave containing wooden coffins. 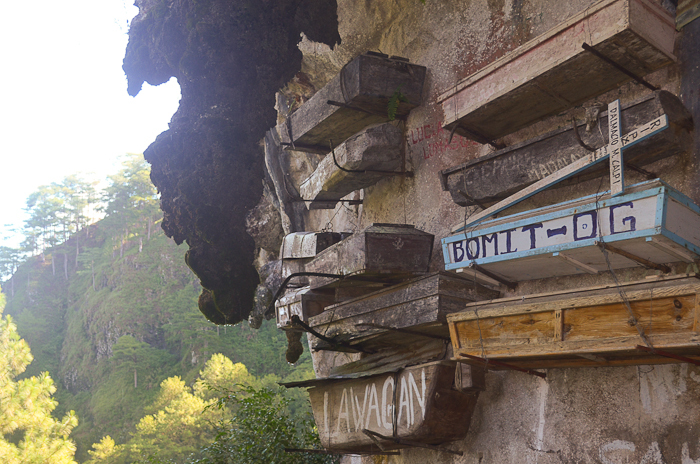 Nearby, a dozen coffins labeled with family names are stacked on the rock wall: the hanging coffins of Sagada. Rumour is, it’s only bachelors interred here. 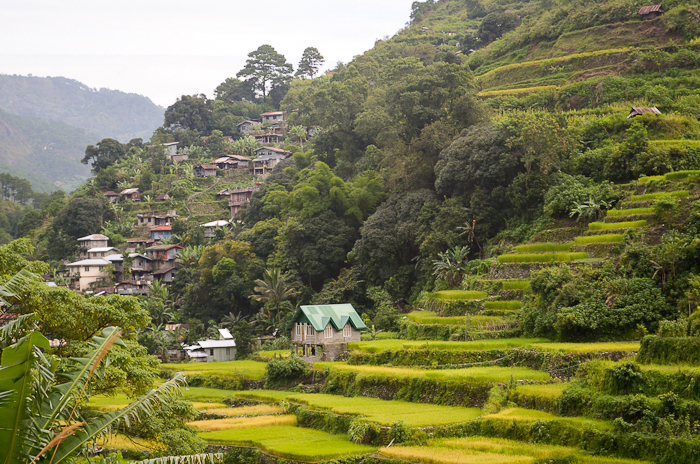 From there we circle back to Sabangan to the epicentre of Philippine hipness: Gaia is a vegetarian restaurant built into the side of the mountain. We drink cardamom tea and chia-seed shakes. The next stretch is like riding a jackhammer through the construction zone of a soon-to-be highway. From Sabangan I ride alone: Mark is pooped. The final 65 kilometres from Cervantes to Tagudin is endless switchbacks through a pine forest and waterfalls. Coming down, gripping the brakes, a metal guardrail is a meagre barrier between me and a forested canyon. Who knows? 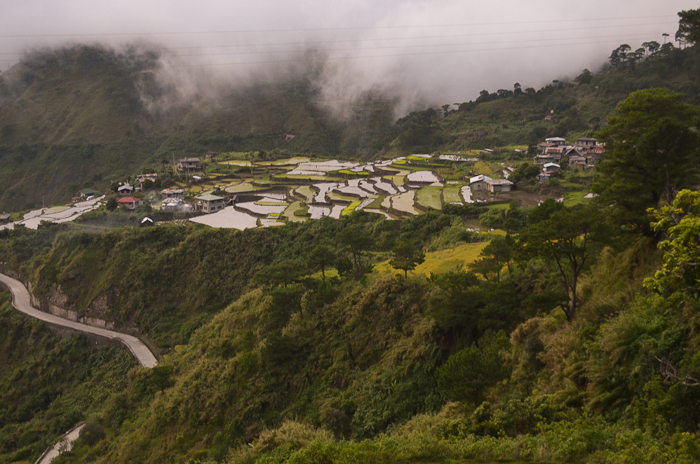 I could be the first foreigner to occupy one of the hanging coffins of Sagada. I am a bachelorette after all.